Full GMAT preparation video course. Best teachers: 99% test results. Best textbooks: they have helped 1,000 clients score 700+. Everything you need for complete preparation. 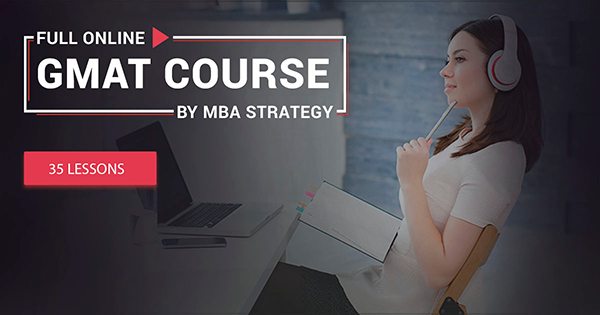 For the ambitious applicant, we have created a video course covering every aspect of the GMAT. Our teachers, each with extensive experience teaching GMAT preparation classes, have recorded every lesson with care, and it feels as if you are present in the classroom. We have enriched our course with our own collection of textbooks, the best on the market since 2003. You can go through the course as many times as you like, and you can go back to review any topic you need at any time. and – most importantly – at a great price. The comprehensive topic list covers all the theory you need, and for practice you can use our study guides with 840 questions. Creator and founder of MBA Strategy, LLC. Dmitry has 10 years of experience in Ukrainian and foreign education, and has personally prepared around 200 students for their applications to top business schools and universities in various countries. Personal GMAT result: 740 points. Dmitry has completed an entrepreneurship program at Stanford GSB. GMAT consultant, Quantitative section. Personal GMAT result: 93rd percentile Quantitative part. GRE Mathematics: 900/910 (97%). Aleksei graduated from the Lomonosov Moscow State University (Faculty of Mechanics and Mathematics) in 2009, and worked there in the Mathematical Analysis department until 2017. He currently lives in Cambridge, UK. Aleksei has been teaching advanced and elementary mathematics since 2006. GMAT consultant, personal GMAT result: 730, V42. 38% of Kirill’s students have received a 700+ GMAT result. Bachelor’s degree: Herriot-Watt University (UK). Master’s degree: Moscow State University of Foreign Affairs. Kirill has taught at MBA Strategy for many years. His extensive experience studying and living abroad helps students not only receive high GMAT results, but also learn the necessary skills for studying in a foreign environment. GMAT/GRE consultant, Quantitative section. Personal GMAT result: 700 (Q51/51). Dmitri graduated from Lomonosov Moscow State University (Bachelor’s degree in Applied Mathematics and Computer Science, Master’s degree in Mathematics). He has published research on computer vision algorithms. Dmitri has a strong understanding of computer science and networking technologies.